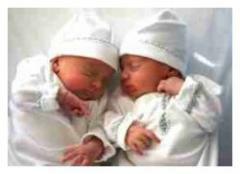 A 57-YEAR-OLD woman, believed to be the oldest mum to give birth in Australia, has delivered IVF twins at a WA hospital. The Sunday Times can reveal the woman gave birth by caesarean section on Monday at King Edward Memorial Hospital. The case is believed to have set an Australian record and added seven years to the previous WA record. Sources said the woman, who is believed to be from India, had IVF treatment with donated eggs in India before delivering twins in Perth this week. -- Her career at a low point, Rachel Dratch suddenly had time for yoga, dog- sitting, learning Spanish - and dating. After all, what did a forty-something single woman living in New York have to lose? Filled with great behind-the-scenes anecdotes from Dratch's time on SNL, Girl Walks into a Bar is a refreshing version of the happily ever after story that proves female comics - like bestsellers Tina Fey and Chelsea Handler - are truly having their moment.